A sponsored cycle ride from Minnis Bay to Reculver and back to raise funds for "Prostate Cancer UK" and local charities. A dedicated "peloton" of cyclists with ages ranging from 2 to 80 years, including one Rotarian on his mobility scooter, made the journey from Minnis Bay to Reculver and back as part of a National Rotary Bike Ride to raise money for the fight against prostate cancer and also for local charities. 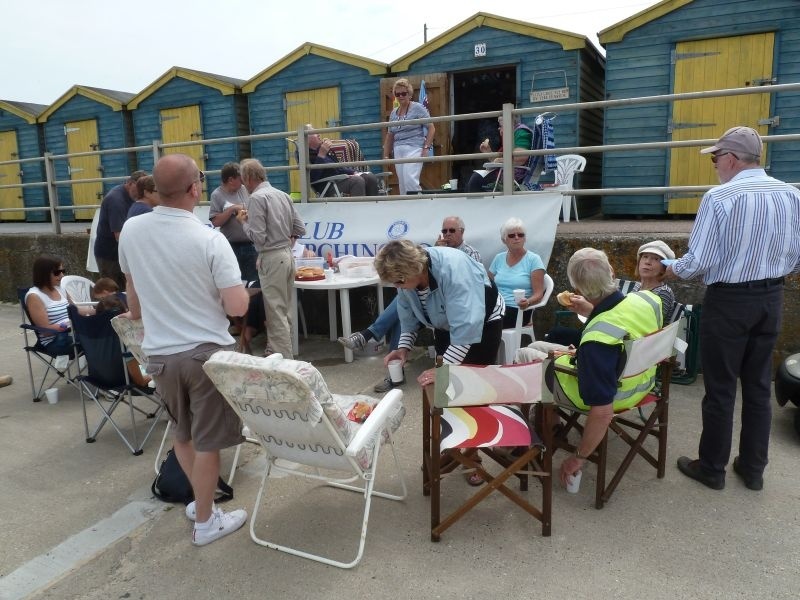 The riders were treated to delicious refreshments at the half way point in Reculver and, to encourage them to complete the course, there was a splendid "Beach Hut Lunch" back at Minnis Bay.